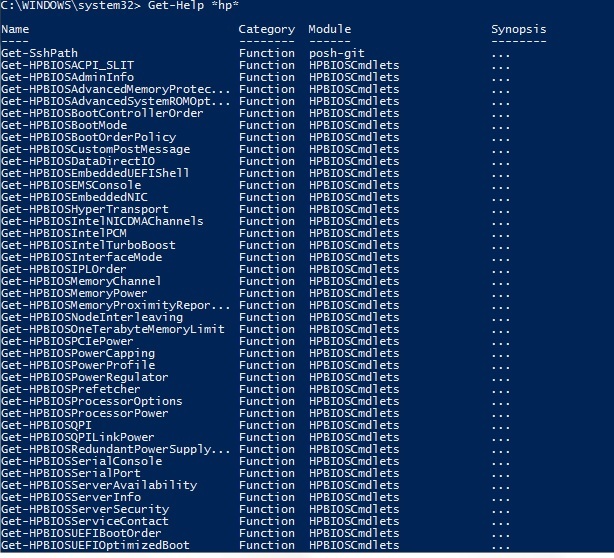 ← Powershell Script to get the specified direct attached blade device serial number. We can find HP valid Onboard Administrators list in the subnet by using the HP cmdlet Powershell script . Download the HP cmdlet from the below link . The Find-HPOA cmdlet lists valid Onboard Administrators in the subnet provided. You must provide the subnet in which the Onboard Administrators have to be searched. This entry was posted in HP, Powershell and tagged HP, hp c7000 enclosure, HP Onboard Administrator, Powershell. Bookmark the permalink. 1 Response to Powershell script to find the HP valid Onboard Administrators list in the subnet.